Pictured are First row L-R: unknown, unknown, Reynolds, unknown, unknown. Second row L-R: unknown, unknown, Jack Allen, unknown, unknown, Milton Feinstein, Hugh McClintoch, Hamblin, unknown. Third row L-R: Harold Prein, unknown, Billy Bob Turpin, Jack Bayer, unknown, Reynolds, Thomas Bonney, unknown, unknown, James Van Puersem. Back row L-R: Towney Bennett, unknown, Harold Hieronymous, Taylor White, unknown, unknown, Andrew Holbrook, Waller Thacker. 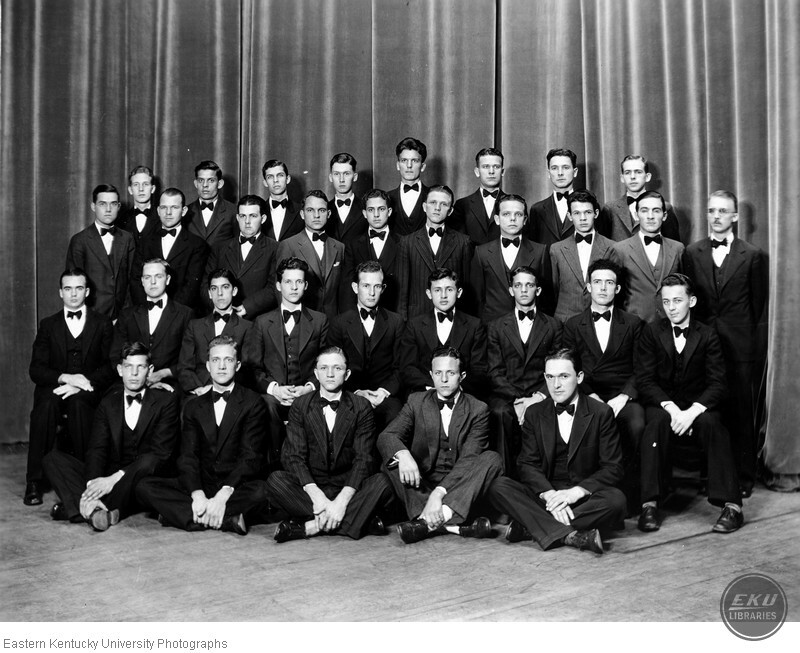 “Glee club group photo,” Digital Collections, accessed April 24, 2019, https://digitalcollections.eku.edu/items/show/34198.